Everyone who works in the wine trade and who is passionate about wine counts themselves as being very lucky. We may not all earn bankers salaries but we often manage to drink better wines than your average London oligarch. Tonight was one of those nights that really reminded me of what a special era of fine wine I’m living through and working in. The Tim Atkins and Jamie Goodes of this world will still be around for many years to come. 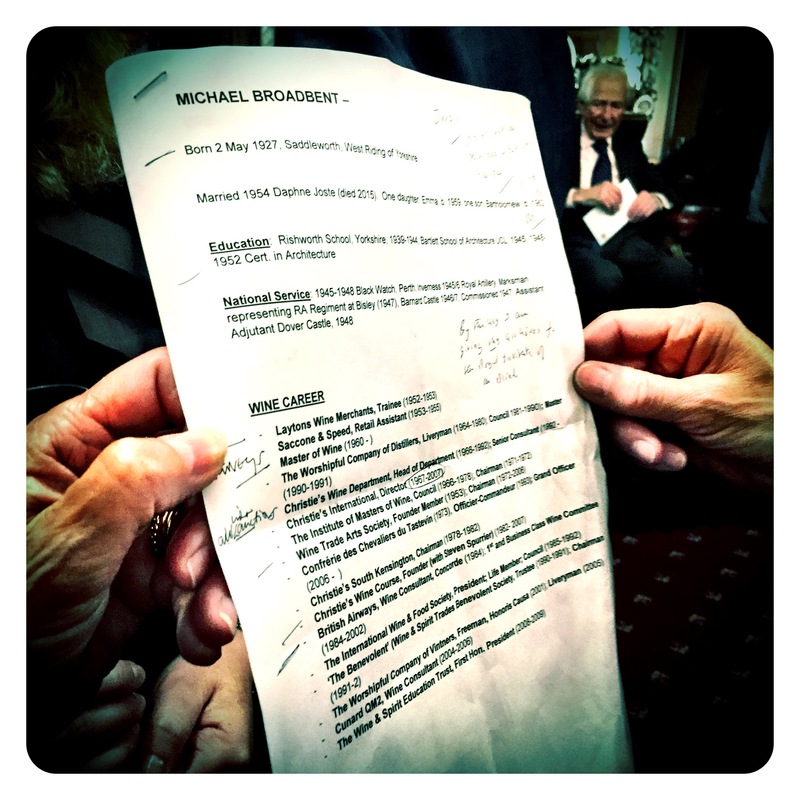 But some legends like Michael Broadbent MW won’t be. Jancis Robinson MW OBE giving a congratulatory speech and summary of Michael’s long career in wine. 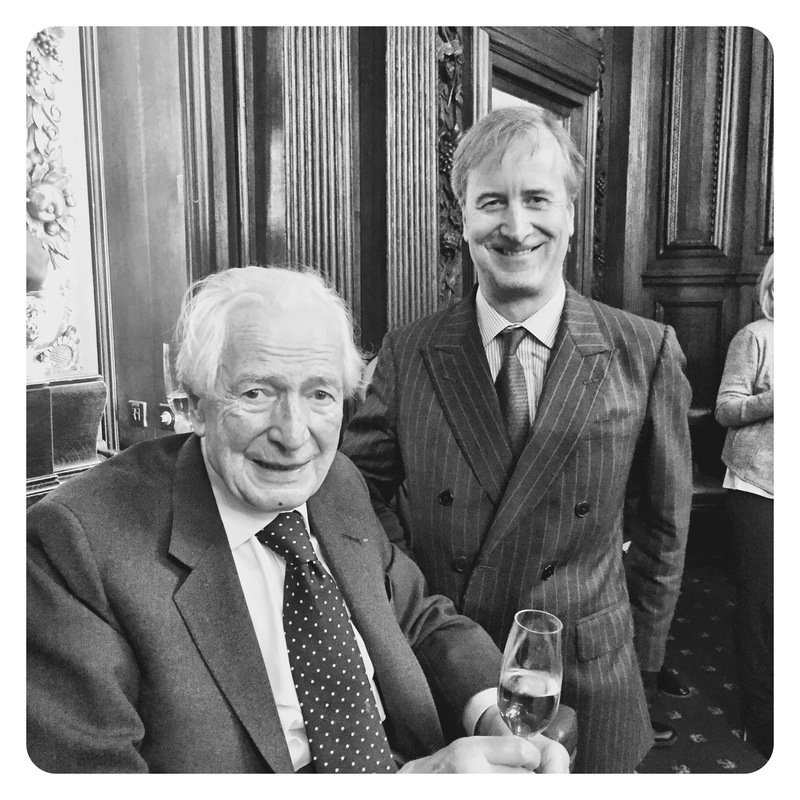 Celebrating his 90th birthday yesterday at Vintners’ Hall (officially on the 2nd May), Michael is not only a fellow Master of Wine, who graduated in 1960, but also a legendary figure in my life and that of many others in the broader global fine wine trade. 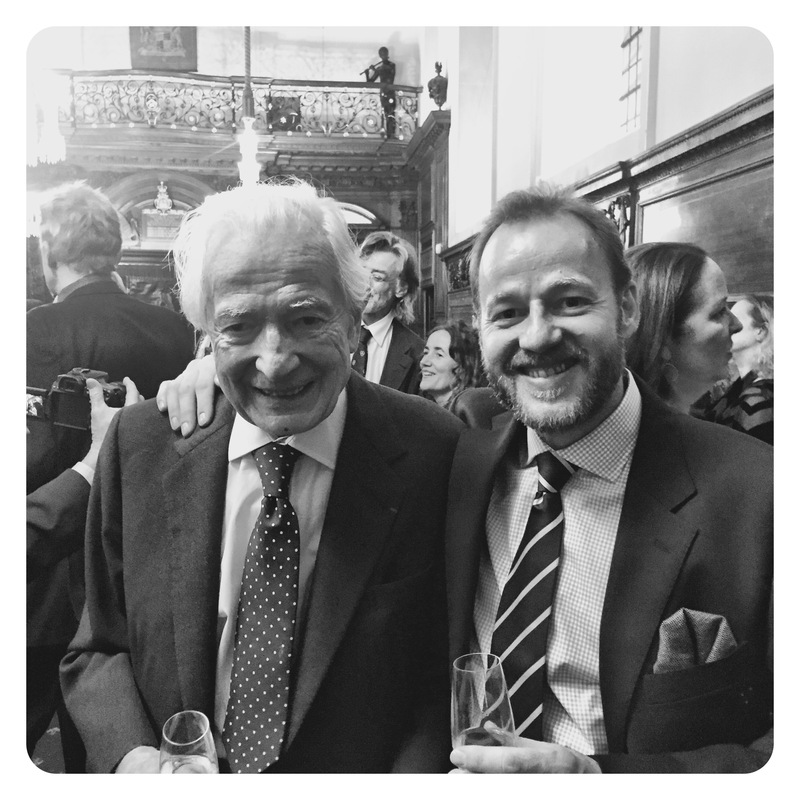 He falls into the absolute wine personality icon category along with the likes of Hugh Johnson, Steven Spurrier and Jancis Robinson, all people I have been honoured to work with and along side for the past two decades I’ve worked in the UK wine trade. In a few years time, when some of these personalities are no longer with us, we will undoubtedly reflect on what a special moment in time the past years have been. 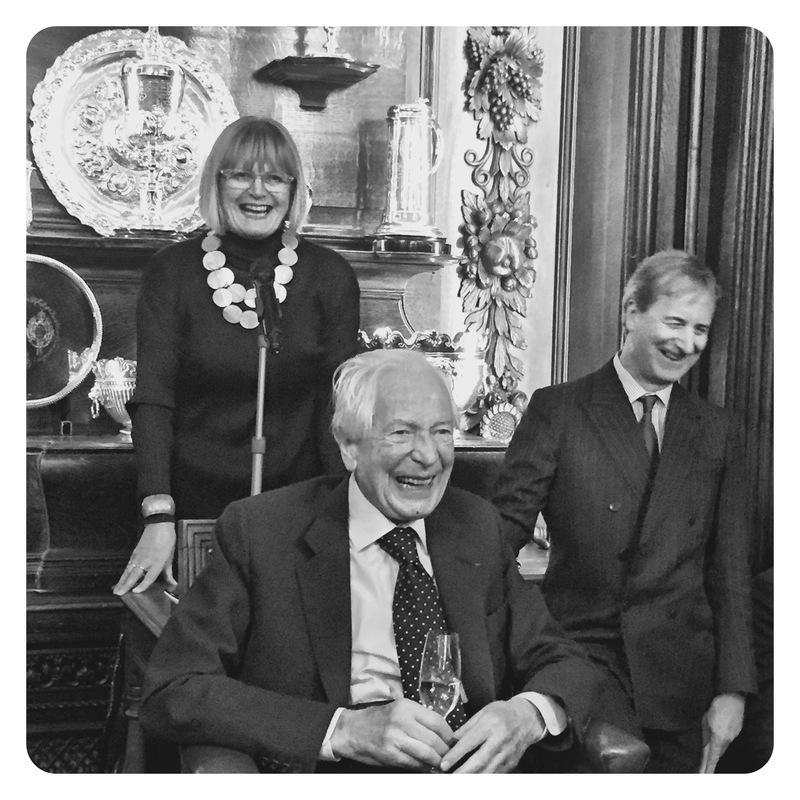 These personalities coincided with and reigned over the democratisation and globalisation of the fine wine trade. The market will continue to evolve, times will change, but these figures and their influence will never be surpassed. Jancis Robinson’s 3 page speech and CV Summary. Yes, his career is that long and impressive! So when you pop that next cork, think about the person, who ever it may be, that inspired you to appreciate wine, and honour them with a cheeky toast. Cheers! Well both you and James inspired me, I guess, along with my parents and many holidays in France as a family. But I agree, we should raise a glass to all of those involved in producing our wonderful tipples and fuelling and informing our thirst. Thank you!